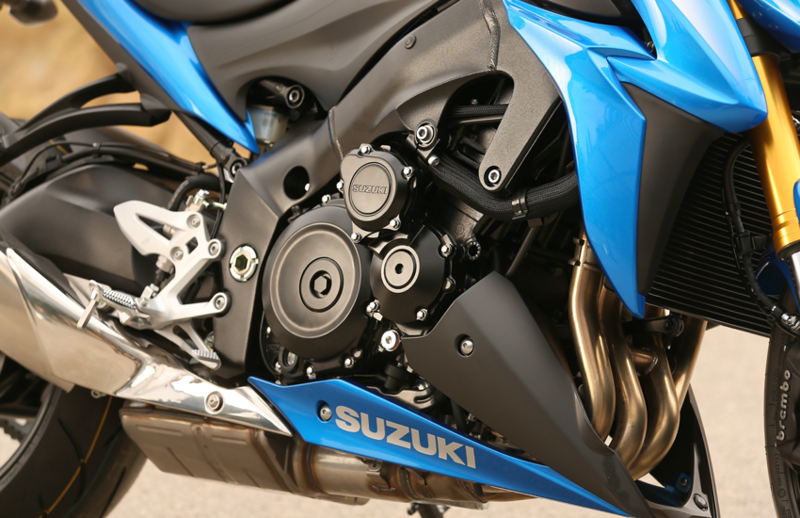 For the best part of a decade many have dreamt about the day Suzuki would build a naked GSX-R1000. Well, now it’s here: the new GSX-S1000. Like the Japanese firm’s superbike, the GSX-S1000 is relatively low-tech, compared to its latest European offerings like the BMW S1000R and current Aprilia Tuono V4, but it’s still a blast and more importantly it costs just £8999 – way cheaper than its high-tech rivals and £500 cheaper than the Kawasaki Z1000. It has a good heart. Powered by the now almost mythical long stroke inline four-cylinder GSX-R1000 K5-K8 motor, but reworked for more midrange, the new naked has a rich, meaty power delivery and that short, sharp, distinctive GSX-R bark we’ve all come to know and love, when you blip the throttle. But the motor doesn’t have that instant lowdown ‘wheelie off the throttle’ response you’d expect from the ‘king of grunt’. The power delivery is snatchy accelerating from a closed throttle in the lower gears, which spoils your enjoyment in slow speed corners. You don’t get the latest electronic riding modes, a quickshifter, auto-blipper, launch control, anti-wheelie, plush suspension or the latest super-sticky race profile tyres, but you do get a three-stage traction control system, a full LCD dash and for another 500 quid you can have the ABS version, which we’re riding today. 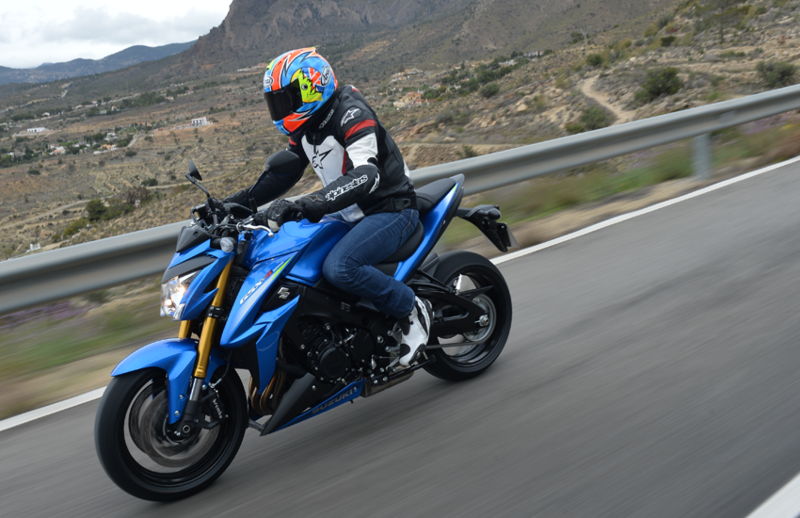 As you’d expect form a bike with a 144bhp shoe-horned into a superbike chassis, the new Suzuki is devilishly fast, fun and will wheelie for as long as your ability will allow. It’s agile, stable and gives you loads of feel and feedback for what’s going on beneath you. It’s light, and weighs the same as a BMW S1000R, but the shock doesn’t have compression damping adjustment and the Dunlop D214 tyres don’t have the bite and agility of the latest-generation sports rubber. 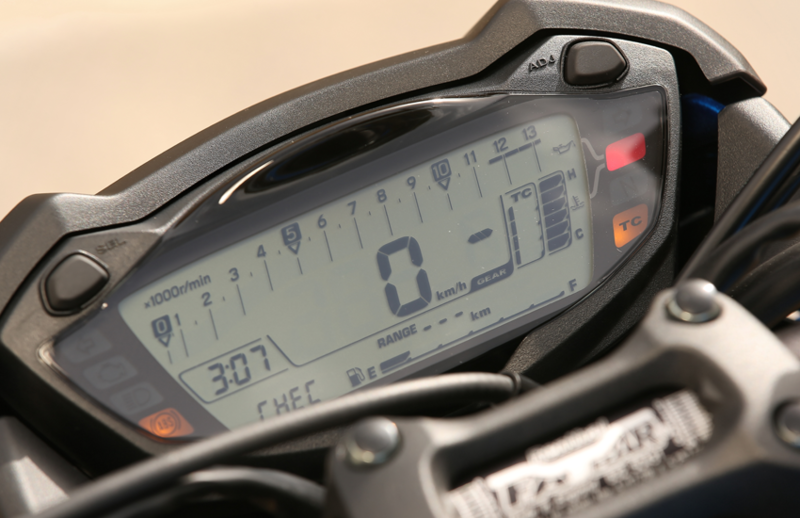 But the GSX-S1000 is still a giggle in the corners. Unlike the legendary GSX-R1000 K5, which forced you into a racer crunch, the ‘S” is spacious, comfy and there’s a perfect reach to the Renthal Fatbars. That’s great news for Gixer fans who aren’t as young and supple as they once were. The wind protection isn’t all that above 90mph, but this is a naked bike, so it’s all about having fun at lower speeds. 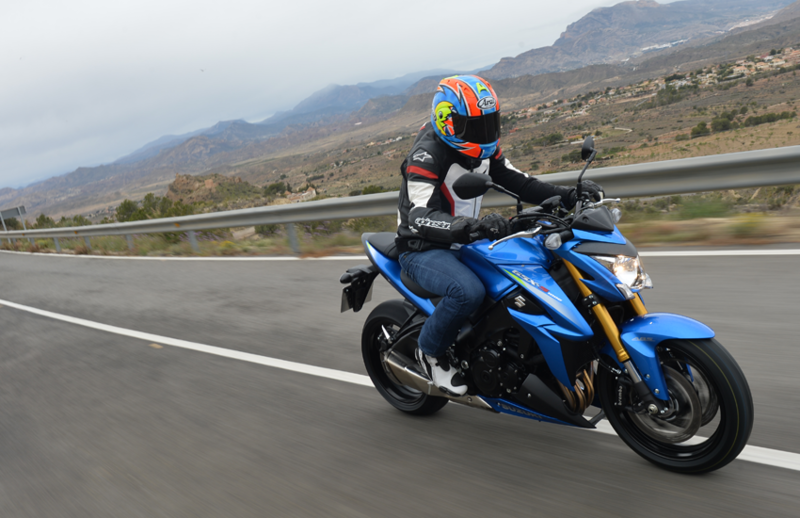 The GSX-S1000 is good honest, simple fun, which is what the K5 was all about a decade ago and in today’s sports naked landscape it’s excellent value, too. Performance, handling and spec are more in line with its Japanese rivals like the Honda CB1000R and Kawasaki Z1000, than the best of the European super naked competition. 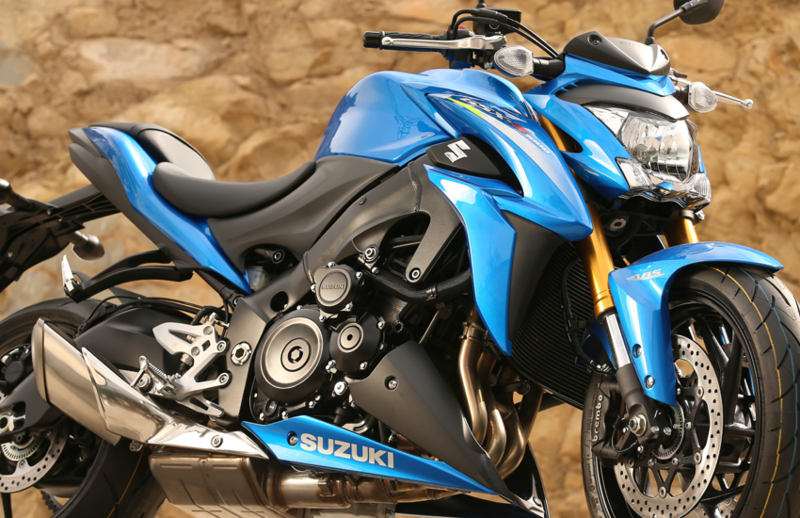 Expect bikes to arrive in Suzuki dealers late May/early March, with the faired GSX-S1000FA version available in the summer. 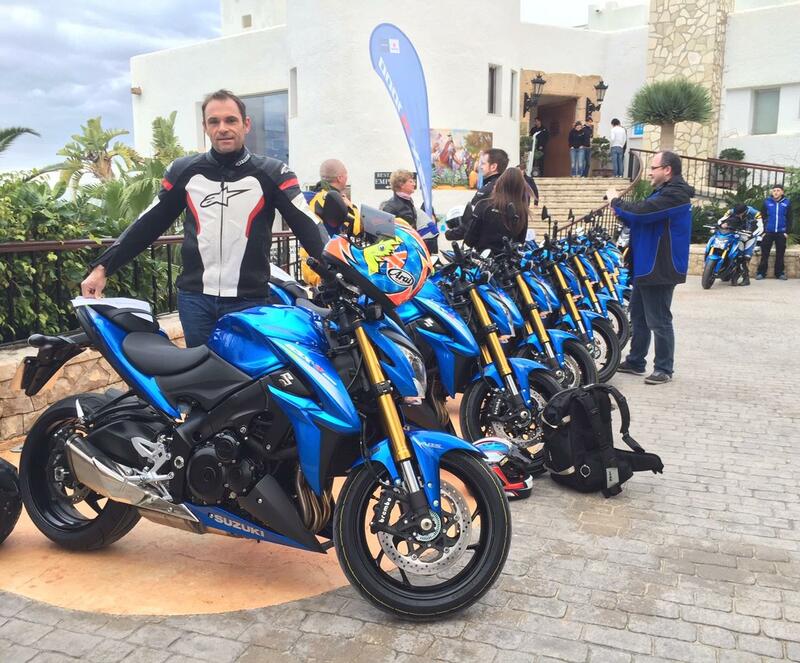 MCN are riding the new, Suzuki GSX-S1000 today. It costs £8999 and produces a claimed 144bhp from it's GSX-R1000 K5-derived inline four cylinder engine. It weighs 207kg, ready-to-go. 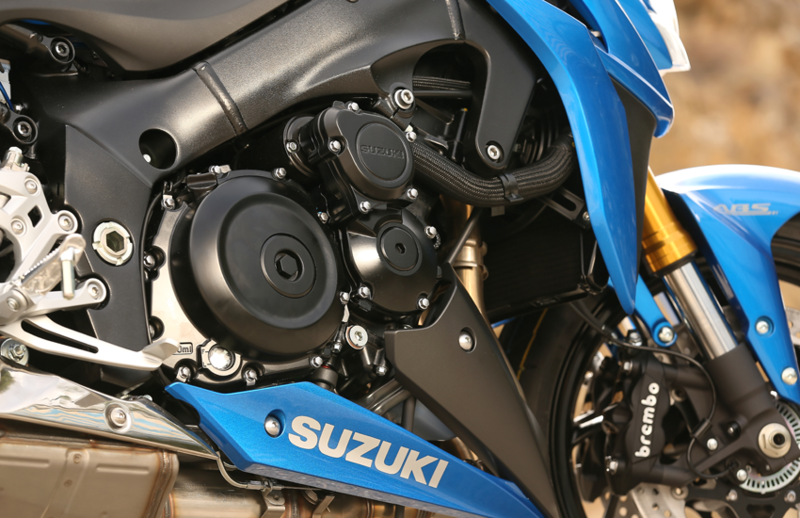 Will it be the naked GSX-R1000 we've lusted after for the past decade? 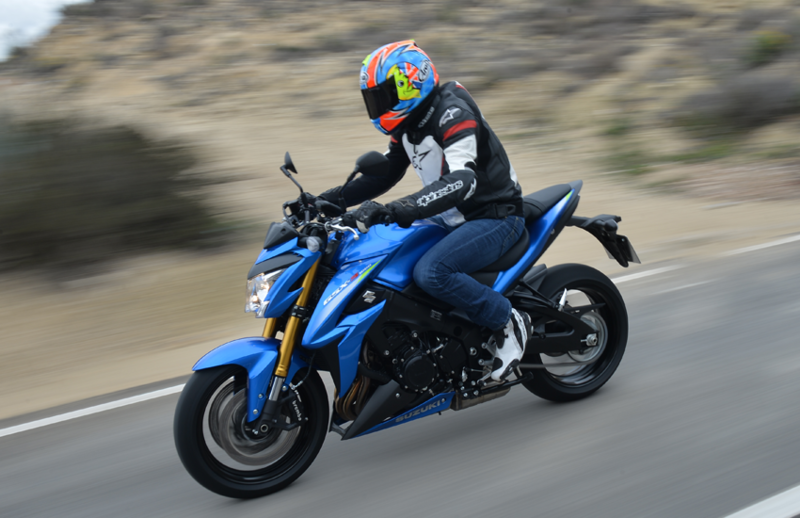 Suzuki just showed off their test rider doing a bit of moto gymkhana on the new GSX-S1000. Just about to head off to ride the new GSX-S1000. 2 - You don't need to pull the clutch in to start it, like previous Suzukis (and the starter motor spins automatically until it fires up, like a Ducati from a few years ago). Looks like today is going to be a good day. Based around the now legendary engine from the 2005 GSX-R1000, although retuned to better suit this mildly less focussed model, it’s been designed to give effortless performance without compromising on comfort. Suzuki describe it as a ‘pure sport roadster’, and that seems like a pretty good fit to us.